A Wardle double, York, Pendle, Thirsk, Manchester, Hannover and Berlin! | Rochdale Harriers & A.C.
A Wardle double, York, Pendle, Thirsk, Manchester, Hannover and Berlin! A busy weekend was had by Rochdale Harriers. Starting early on Saturday morning, 17 harriers took over all of the volunteering roles at Watergrove parkrun. A few hours later, many of those Harriers were back in Wardle to either volunteer or compete in Eric Taylor’s Wardle Skyline Fell Race. Philip Hinchcliffe took 11th place, beating his brother Lewis, who finished 14th. Jill Butterworth was 3rd woman and 1st FV45, Jan Needham was 1st FV65 and Chloe Hirst was first FU21. 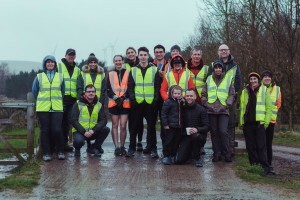 Jon Dearnley-Lane and Charlie Harding made a tea time trip to the Steven Burke Cycle Track in Pendle for the Podium 5k. Running in the ‘A’ race, which saw a course record of 14:19 from Olympian Tom Lancashire. Jon recorded yet another sub-17 time of 16:42, with 16 year old Charlie running 17:10. As usual Ian Stainthorpe, was out and about, after completing his 97th different parkrun course at Heslington in York, Sunday saw him taking part in the Thirsk 10 Miles. He was pleased to complete then course in under 70 minutes, with a time of 1:09:14. 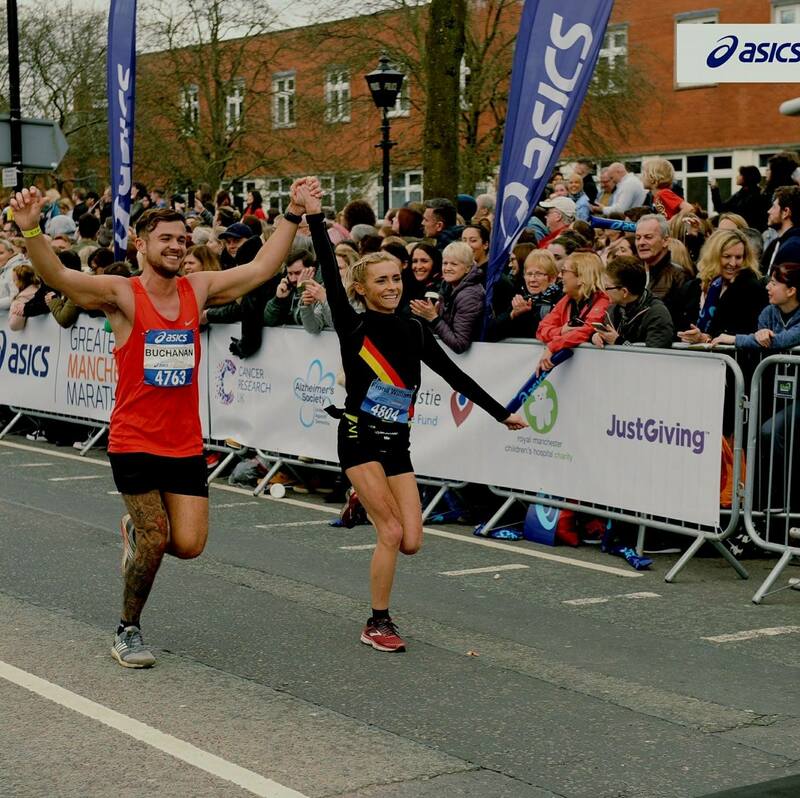 Sunday was marathon day for a number of Harriers, with Anna Blomfield, Matt Jones, Fiona Williams and Michelle Bernhagen running the Greater Manchester Marathon and Richard Stirzaker running in the Hannover Marathon. For Matt, Fiona and Michelle it was their first marathon. In Germany, the heat made things tough for Richard and aiming for a sub 2:45 time he had a few problems in the second half of the race, stopping briefly at 19 miles, but having a word with himself and battling on to run 2:56:08. 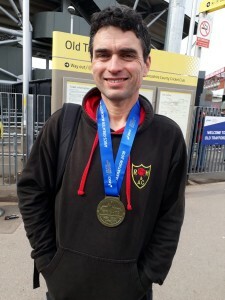 In Manchester, temperatures were more amenable to marathon running, Anna, who will be running the marathon in an England Vets vest later in the year, was the leading Harrier in 3:35:42. Fiona was worried that she had not done enough training, but ran a perfectly paced debut to record a time of 3:36:39. Matt struggled through the last few miles to record a time of 3:48:43. 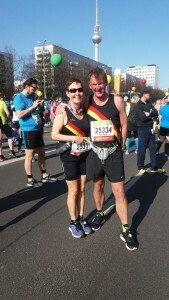 Rochdale Harrier’s own German in Manchester, Michelle battled through to finish in 4:43:10. Back in Germany, Jackie and Richard Mason were running the Berlin Half Marathon, where a lot of locals took great interest in their Rochdale Harriers vests, which share the colours of the German flag. Richard ran 1:59:18 and Jackie 2:18:01. Their next half marathon will be in Riga, Latvia.